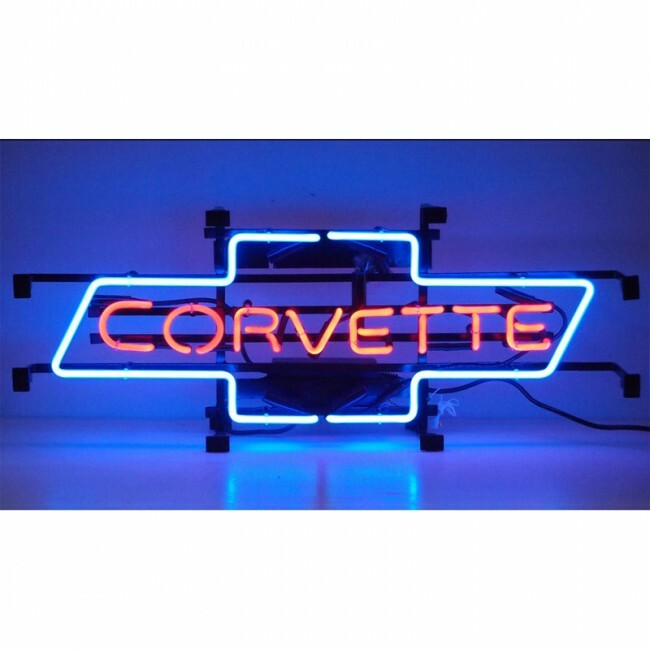 Corvette Bowtie Neon Sign features multi-colored, hand blown neon tubing supported by a black metal grid. May be hung against a wall or window or adapted to sit on a shelf. Simply hang it up and plug it in – no assembly or special wiring required. Industrial strength transformer. (31”W x 12”H) Limited manufacturer’s warranty. 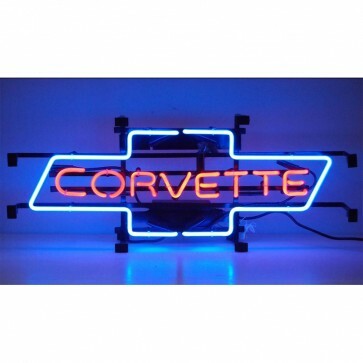 Corvette Script Steel Sign | 50" x 4"